home page > Faculty of Social Sc... > The School of Politi... > About Us > Degree in political science? In designing a degree in political science, our major goal is to equip students with the knowledge and tools necessary to understand and explain the word of politics. 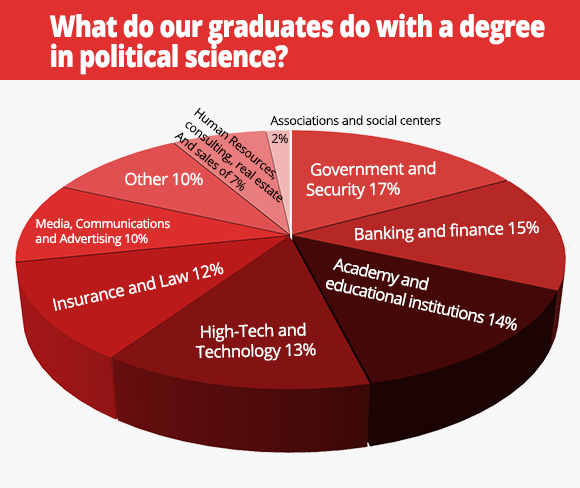 The study of political science can open up a wide range of employment opportunities in the public, private, and not-for-profit sectors. Students interested in careers in business, law, journalism, communications, government, or politics more generally will obtain knowledge and advanced skills that will serve them for to pursue their professional goals.